Welcome to your one-stop solution to finding the perfect venue for any event in London. We have featured a range of fantastic venues that can cater for intimate private parties through to large corporate days out and everything in between. Just fill in the simple search facility, filter your results to your specific requirements and there you have it! Our close relationships with our venues means your enquiry will be handled quickly and efficiently, so you can just sit back, relax and let Find Me a Venue do the work. Find Me a Venue is brought to you by our catering partners, Eden Caterers. They have been providing delicious, seasonal and sustainable food throughout the capital for 25 years and know a thing or two about events. Whether you need a stunning sit-down wedding dinner or some wholesome sandwiches for a meeting, their dedicated staff and state‐of‐the-art kitchens in Waterloo provide the ultimate service for your events. To find out more, visit their website here. Findmeavenue.london is the exciting new addition to the Eden portfolio. Our free-to-use venue finding website acts as a one-stop solution for anyone looking for their perfect event space. 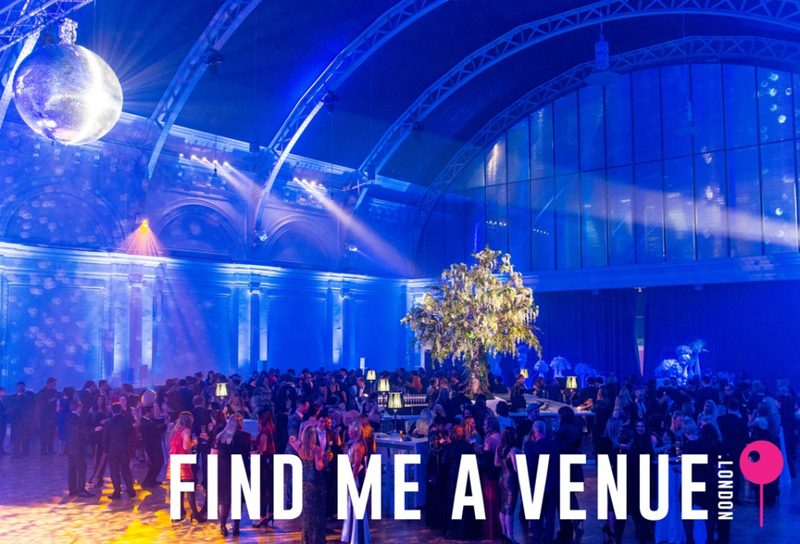 Showcasing a selection of exciting spaces throughout London, findmeavenue.london features over 80 venues, including the Natural History Museum, Ministry of Sound, Royal Horticultural Halls and many more historic spaces, contemporary blank canvas venues, private dining rooms and more. Designed to simplify finding the perfect venue for any event, the website offers an easy-to-use tool, enabling event planners to search across multiple criteria, including location, budget, headcount and venue type. Visit the newly launched website now to start searching for your perfect venue.